The FDA approval of Merck's shingles vaccine (Zostavax) to counteract the effects of mass use of Merck's chicken pox vaccine will help Merck recover financially from the loss of Vioxx revenues. But will Zostavax help or hurt those who are too frail to make or are prevented from making fully informed vaccination decisions? There are already indications that Zostavax is capable of inducing autoimmunity or worsening a pre-existing autoimmune disorder as well as raising the risk of heart disease conditions. 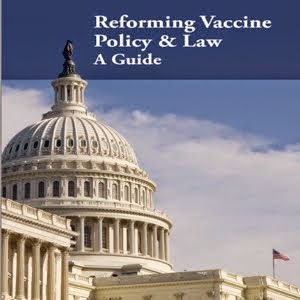 With many of America's elderly held captive by HMO's and nursing homes, which prevent them from exercising voluntary, informed consent to medical treatment, how many will be harmed by forced use of a shingles vaccine? Had most children not been forced to use chicken pox vaccine since 1995, many older children and adults would not be suffering from shingles in what has become a shingles epidemic in America. A painful, expensive bout with shingles is prevented when those, who have recovered from chicken pox in childhood, have their cell mediated immunity asymptomatically "boosted" by coming into close contact with young children who are infected with chicken pox. For 99.9 percent of healthy children, chicken pox is a mild disease without complications. The vaccine was originally developed for immune compromised leukemic children, who could not withstand a bout with chicken pox without severe complications. Shingles could be prevented, not by sticking grandma and grandpa with a needle full of a shingles vaccine that can trigger autoimmunity and heart disease, but by getting a hug from a grandchild who is getting or recovering from chicken pox. But the elderly in America can't do that anymore. There is no chicken pox around. Just shingles and needles filled with Zostavax. I have wanted to get the vaccine ever since it was released, but I have had, and still have children who are in the midst of having children. Getting the vaccine means that you must not be with those who are or likely to become pregnant. You must also stay away from children who have not yet been vaccinated, which dowsn’t happen until they are at least one year old. Such restrictions are necessary. Heaven forbid that my vaccination be the source for a child getting sick or worse! 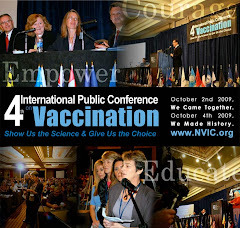 At age 60, on Dec 3, 2010, I got the shingles(zostavax) vaccination. About 90 days later I broke out with terrible photosensitive rashs and other symptoms. A dermatologist diagnosed, via punch biopsy, my rash as Subacute Cutaneous Lupus. A rheumatologist diagnosed me with autoimmune disease Primary Sjogren's Syndrome. I seen a different rheumatologist a few months later as was diagnosed with Subacute Cutaneous Lupus, Systemic Lupus and secondary Sjogren's Syndrome. I never ever had any type of AI problems. To me, I am convinced that my AI problems were spawned by the Zostavax live virus vaccination. I'd be interested in anyone else has come down with AI disease shortly after getting the shingles vaccination. I am 53 years old and decided to get the shingles vacination. I had a site reaction of redness and hot, very tender, swollen. After week 1 post vac , I developed a swollen parotid gland, got it checked the dr. Cleansed it out. One week later I developed an infection in the same gland. Ing better then my saliva gland under my chin became swollen and very tender. Next came the very dry mouth and dry eyes. The dr warnts to do an autopsy of my glands. To see if I might have sjorens. Never have I had any type of auto immune or any other illness, I am drug sensitive. I am hoping the symptoms will go away......is that possible? Very frustrated! I blame the shot !! If anyone has any information I would appreciate it. What did you find out if you have sjogren's? I have been diagnosed with systemic lupus, cutaneous lupus and sjogren's syndrome. The cause was from an adverse reaction to the zostavax vaccine. Report filed with FDA(FAERS) and Merck.